In May 2017, The White House issued Executive Order 13800 for “Strengthening The Cybersecurity of Federal Networks and Critical Infrastructure”. Call to Actions included: Effective immediately, each agency head shall use The NIST Cybersecurity Framework to manage the agency’s cybersecurity risk. Further, the U.S. seeks to support the growth and sustainment of a workforce that is skilled in cybersecurity and related fields as the foundation for achieving our objectives in cyberspace. 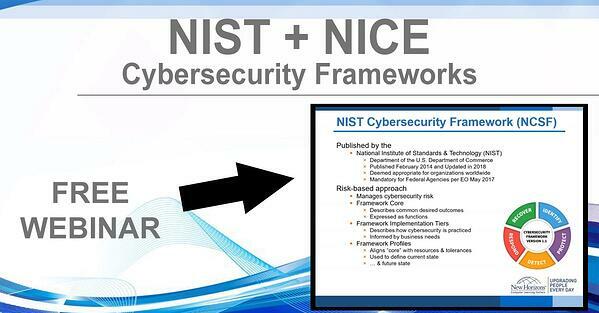 NISTCSF.COM is a NIST Cybersecurity Framework (NCSF) cybersecurity workforce development program. The programs unique model helps enterprises organize the Engineering, Technical Operations and Business functions of an NCSF program.